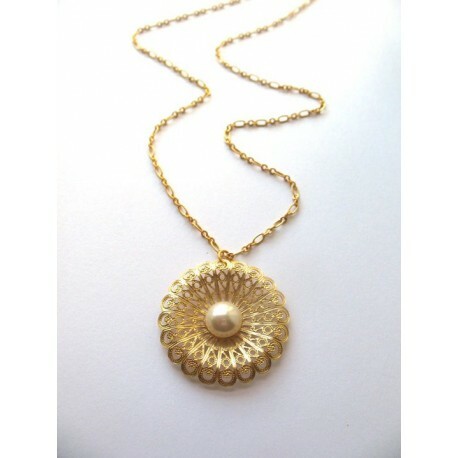 Gold filigree pendant necklace, vintage inspired, designed to be worn with glamor! 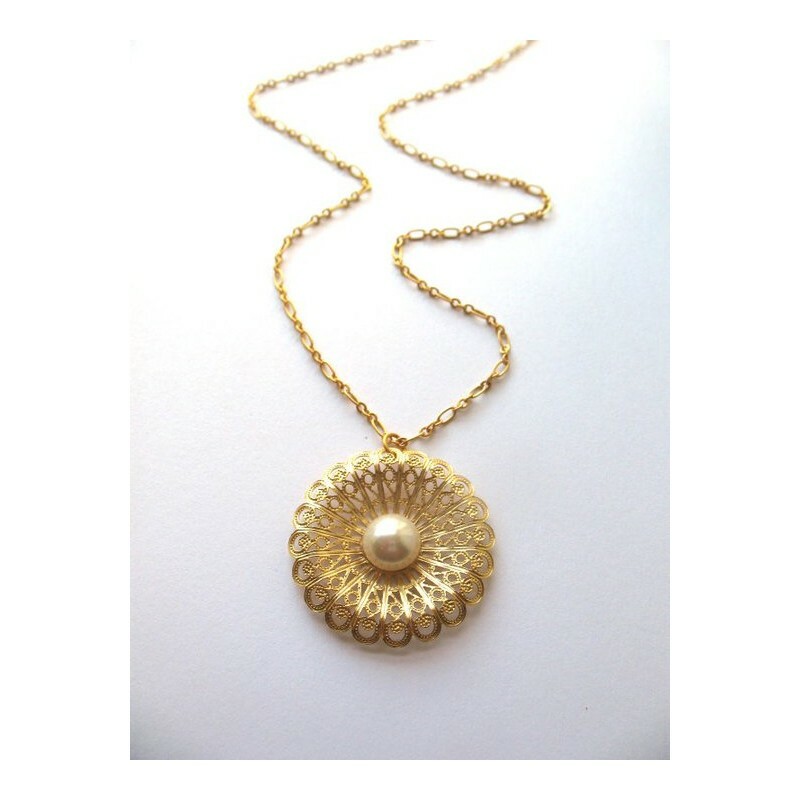 Gold filigree pendant necklace with a Swarovski pearl embedded in the center holding of a gold plated chain. Unique necklace suitable for brides, bridesmaids or every day wear. Pendant size: 1.18 inch / 3 cm approx. Necklace Chain: 18 inch / 45 cm approx.